Vacationing in the Bahamas, who would have thought that there are Muslims living in nice neighborhoods with a beautiful mosque. There are more than 300 Muslims in Nassau, Bahamas who are organized and have five daily prayers. Islam has returned to the Bahamas more than 40 years ago via United States. Which country is closest to Miami? It is the Bahamas, only 40 miles from Miami to the east while Cuba is 80 miles to the south. The Bahamas consists of more than 700 islands, well known for their gorgeous beaches, sea of colors, vivid flamingoes, and Poinciana trees that line the edge of roads and tantalize the senses with their fragrant aromas. Christopher Columbus discovered it on October 12, 1492 and named it Bahamas (low water or sea). The British have controlled it until the Bahamians achieved their independence on July 10, 1973. The thirteen colonies fought the British and won the island for few years but at the treaty of Versailles in 1783, the British traded Florida for the Bahamas. Nassau, the capital, is the queen of archipelago, most densely populated consisting of two thirds of total population of 342,000. Eighty five percent of people are of African descent with literacy rate is 95 percent. City of Nassau is decorated with architecture of British, Spanish, Indian, Chinese and flavor of southern US. In 2008, 4.6 million people visited Bahamas, 85 percent from the USA. Its economy thrives on four areas for income: tourism, fishing, banking, and farming. The Bahamas, because of it strict secrecy laws, is called the “Switzerland of the West.” It has no income tax, sales tax, capital gain tax, estate tax, or inheritance tax. The nation’s stable government and economy as well as its proximity to the US make it one of the most attractive areas for investors all over the world. There are 110 US affiliated businesses operating in the Bahamas, mostly in tourism and banking. According to the old records, some of the early Muslims were brought as slaves from North Africa. In the 1960’s a Bahamian called Bashan Saladin (formerly Charles Cleare) preached Islam and converted his home into Mosque. In 1974, Dr. Munir Ahmad who returned from US as Dental Specialist and Mr. Mustafa Khalil Khalfani joined hand to establish Islam. They were later joined by Br. Faisal AbdurRahmaan Hepburn. There is only one central college in Nassau and no large university. For all higher education, the Bahamians must travel to the United States. After independence, many Bahamians converted to Islam while studying in the US. Everyone you meet has connection to the US. There are many South Asian Muslims from India, Bangladesh, and Pakistan, as well as Turkey and Guyana totaling to 20-30 people working as doctors, businessmen and teachers that visit the mosque. There are many Muslims from India, Pakistan and other countries that have helped develop this community. In 1978 when Jamaat-Ul-Islam, the Revolutionary Islamic Movement, was formed and Br. Mustapha Khalil Khalafani was chosen as its leader. The Muslims established Jamaat- Ul-Islam Mosque in Nassau run by Jamaat Management Consultancy Limited owned by Br. Faisal Abdurrahman Hepburn. 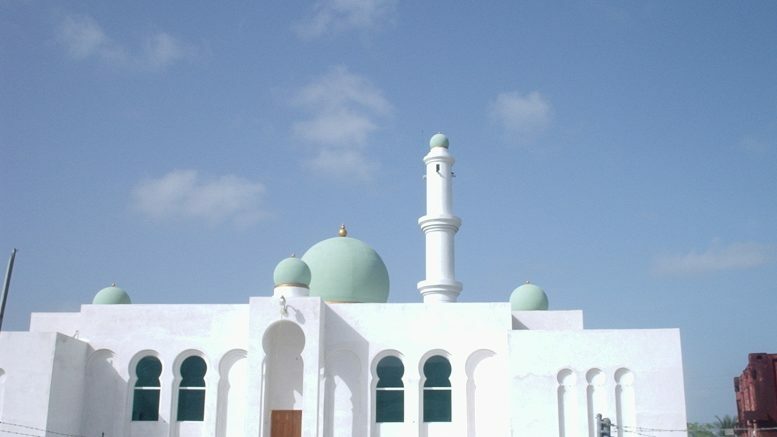 The Mosque rests on two acres of land, white in color with three domes (one large and two small) and one tall minaret. It is surrounded by newly planted trees, a colorful courtyard and a parking lot. Women area is separated by a perforated wooden partisan. The five daily prayers are performed punctually in congregation. Over 60 people attend the Friday sermon and prayer. Other activities include brothers and sisters study circle as well as children’s Sunday school. Islam in Nassau is growing with strong foundation for increasing the Dawa work in the area. Muslims are being ignored or marginalized in many ways, because of being a very small minority(less than 1% of the population). For example, the media refuse to air positive Islamic program and local newspapers are reluctant to cover events relating to Islam and Muslims. They are still facing problems in carrying on their activities. They could use some help and attention from US Muslims in order to energize their work. Muslims in the U. S. including doctors, engineers etc. can contribute by devoting their 1-2 week of vacation per year while doing seminars on Islam or having free medical clinics while still enjoying the scenery. The entire area is conducive to Dawa work due to high literacy, good command of English language , respect for people from US in general and religious background. The US national organizations of Muslims have special obligation to reach out and extend a helping hand. Any cooperation and coordinated activity will go a long way in establishing Islam in this part of the world. 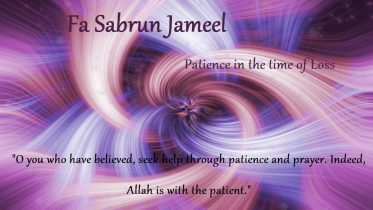 For more information about the mosque or the Islamic organization in the Bahamas, contact them at visit their website: http:// www.jamaahlus-sunnah.com/. Be the first to comment on "Islam returned to the Bahamas 40 years ago via US"